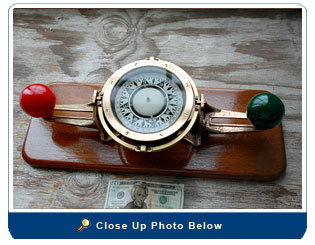 This compass was used on an Alaskan crab fishing boat. It is solid brass and the "monkey balls" are steel (these are used compensate for internal magnetic forces onboard). The compass was in rough shape when we got it. 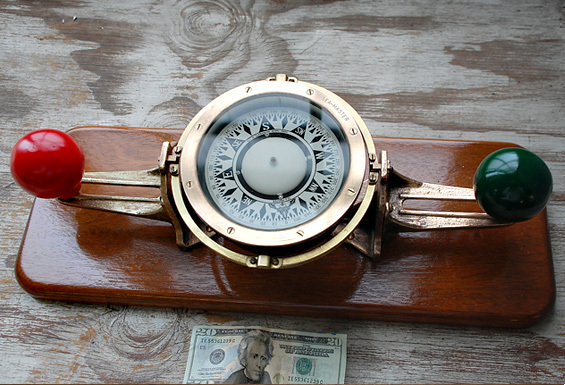 We restored it to near new condition… compass base and balls were painted; the brass was polished, buffed and sealed with a clear brass lacquer; and a new mahogany mounting board was made.